The Porsche 718 is a remarkable car that is available as a Cayman or Boxster, and those models both have GTS variants that add even more to its already impressive performance. For instance, the 718 GTS models are powered by an efficient 2.5-liter turbocharged and horizontally opposed cylinder engine. The engine is able to produce up to 365-horsepower and also comes with VarioCam Plus and integrated dry-sump lubrication. 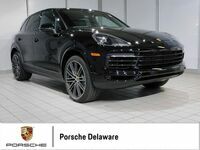 Both versions feature Rear-Wheel Drive and can come with either 6-speed manual transmission or Porsche’s proven PDK automatic transmission. The 718 GTS features a sports exhaust system with center-mounted, stainless steel tailpipes that have a high-gloss black finish. And there is also the available Sport Chrono Package that has even sportier tuning for the chassis, engine and transmission. Overall, the 718 GTS models provide a thrilling, smooth and responsive ride. Like the regular 718 Cayman and 718 Boxster, the GTS models can be equipped with the Sound Package Plus, 10-speaker Bose® Surround Sound System or 12-speaker Burmester® High-End Surround Sound System. 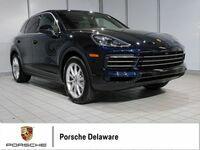 It also comes with the new Porsche Communication Management infotainment system and you can get the available Porsche Connect feature that is available on both the iPhone® and Android systems. Though, unlike the other variants, the GTS models can be equipped with the gorgeous GTS interior package which adds accent colors like Carmine Red or Crayon. And no matter what, you can enjoy ergonomically-designed, comfortable Alcantara® seating. Plus, the GTS has a sharpened exterior design that has beautiful black accents, tinted LED taillights, black finished model logo, contoured rear and large air intakes. 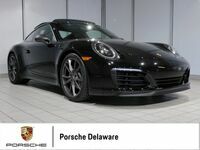 You can also add the available LED headlights with Porsche Dynamic Light System Plus and standard 20-inch Carrera S wheels with 10-spoke design. For more information about the 2019 Porsche 718 GTS models, you can contact us online or by calling 833-213-0717. **Manufacturer’s Suggested Retail Price. Excludes options; taxes; title; registration; delivery, processing and handling fee; dealer charges. Dealer sets actual setting price. Interested in a 2019 Porsche?